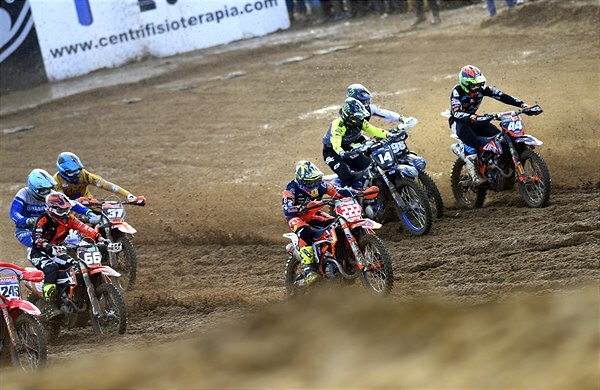 Nine-times MXGP World Champion Cairoli travelled north from his base in Rome in spite of sickness and a strong effort in the last two days to lower the effects of a virus and fever. 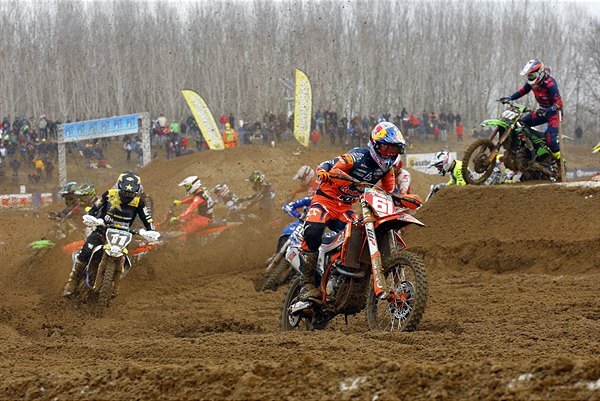 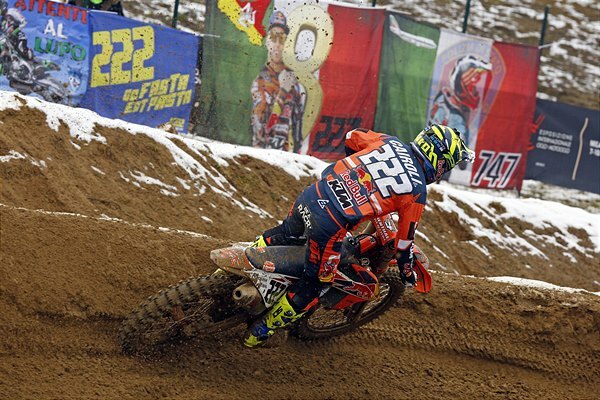 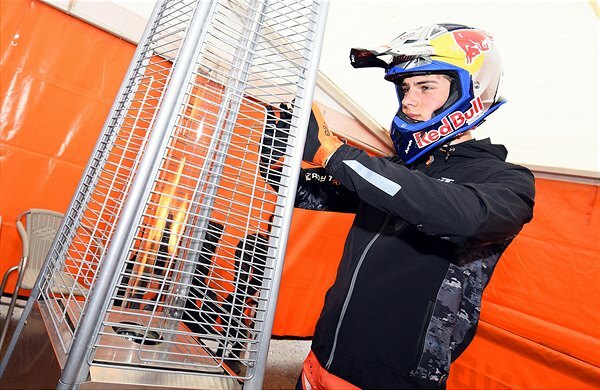 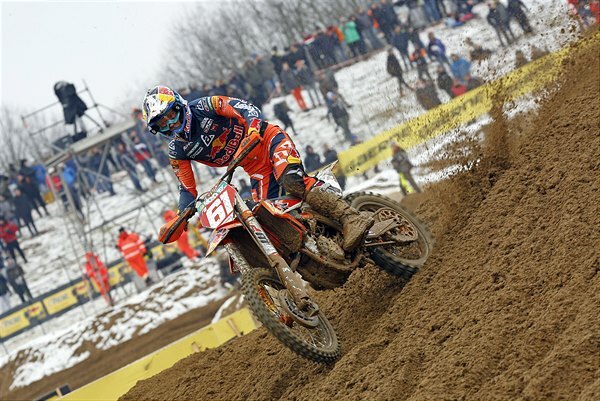 The Italian, and teammate Jorge Prado, were not encouraged by the snowy conditions that swept the site south of Milan but the sandy Ottobiano surface remained race-able. 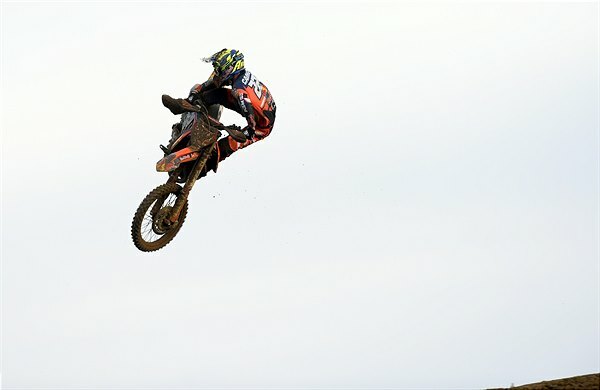 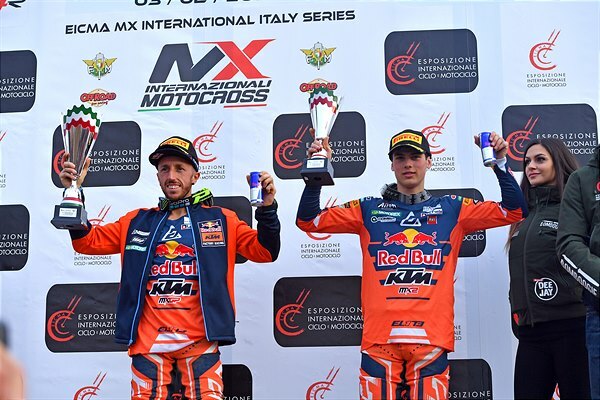 The second round of three in the Internazionali D’Italia went ahead and Cairoli had the fitness, speed and capability on his KTM 450 SX-F to claim chequered flags in both the MX1 and Supercampione motos to maintain his perfect race record so far this year. 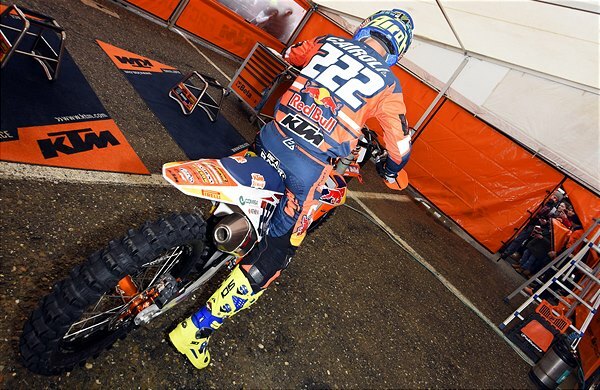 #222 is now very close to an eleventh national crown. 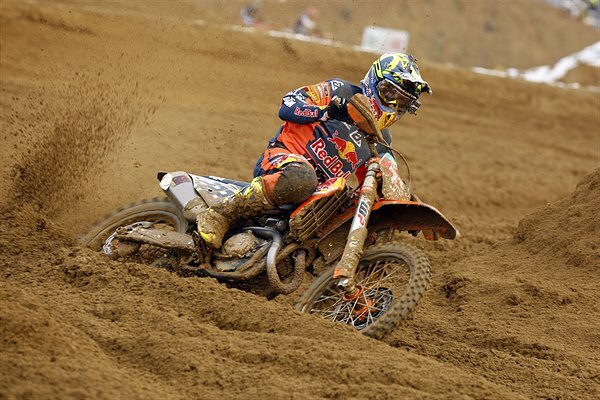 World Champion Prado took his KTM 250 SX-F to a similar standing in the MX2 contest. 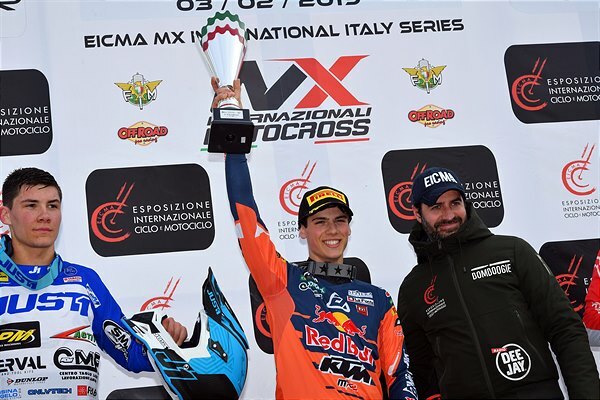 The Spaniard then excelled again surrounded by 450cc motorcycles to score 3rd place in the Supercampione: meaning that Red Bull KTM repeated their excellent results sheet from the opening race in Sardinia the previous Sunday. 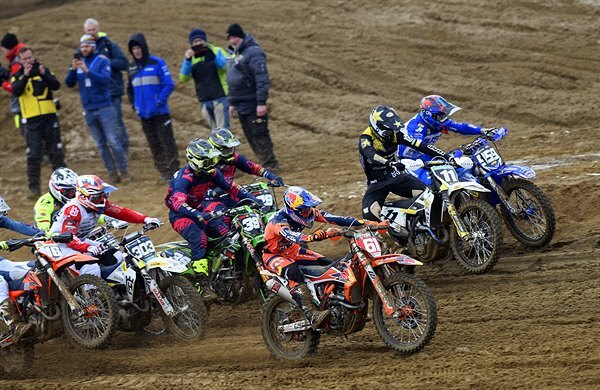 The third and final round of the Internazionali D’Italia takes place next weekend around the flat sand of Mantova (scene of the Grand Prix of Lombardia this coming May).